This room features a deluxe grade bed and linens which you can find them in a 5-star hotel. It is enough to provide you a comfort stay without other unnecessary amenities. 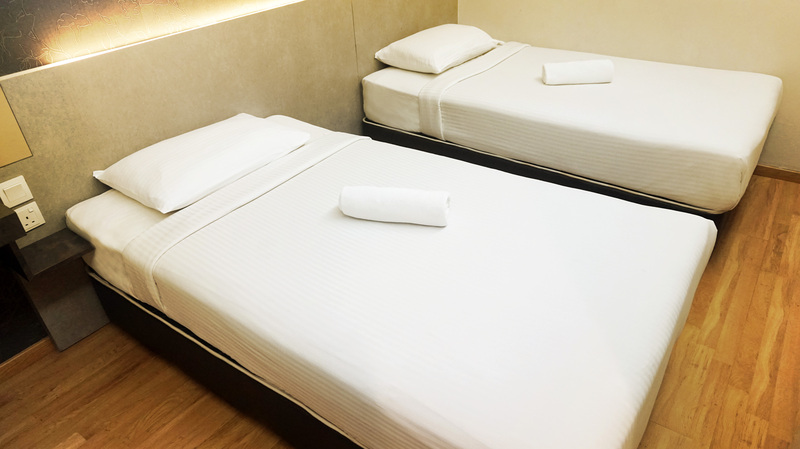 Twin room with 2 super single beds is also available. Copyright © 2016 Smile Hotel. All Right Reserved.